Seeking participants for HASTAC panel: Using social media in the classroom | Jacqueline Ryan Vickery, Ph.D.
I’m looking for two or three participants for a panel about the use of new media in the college classroom to be presented at the 2013 HASTAC conference in Toronto, April 25-28. The style will be a structured conversation among panelist in which we share our experiences, successes, and failures of using social/digital media in the classroom. Because the conference theme is about the past and looking forward, I envision the panel talking about the transformation of technologies alongside the evolution of student skills and literacies. In other words, at a time when learning is shifting from “know the answer” to “know how to find the answer” how can technologies support critical, network, and social literacies as part of formal learning environments? The purpose is to think critically about the possibilities and limitations of using social and digital media technologies as a resource in the classroom and to further explore some of the opportunities and challenges associated with using digital media as a teaching tool. How can college classrooms and education take advantage of new technologies? How can technology support in-class and out-of-class learning? How do we manage inevitable distractions? How might Wikis support collaborative learning? At a time when students can instantaneously look up information online, how might tests, assignments, and evaluations tap into connected learning in and out of the classroom? Where is the line between collaboration and cheating? What is the purpose of exams, which require students to study and memorize information, in an era in which information is quickly and readily available online? 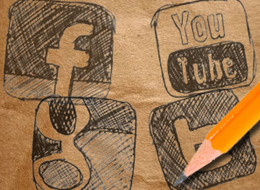 How can social media tools facilitate new modes of learning? What digital skills and literacies should colleges equip students with in order to prepare them for future careers? Please send a brief bio as well as a 200-300 word abstract to Jacqueline Vickery (jacqueline.vickery@unt.edu) by November 5, 2012. Briefly explain your experiences using social media in the classroom, questions you would raise, and how your experiences relate to the conference and panel themes.